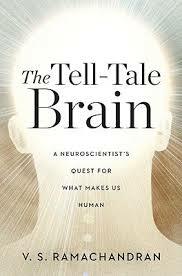 Drawing on strange and thought-provoking case studies, an eminent neurologist offers unprecedented insight into the evolution of the uniquely human brain. V. S. Ramachandran is at the forefront of his field-so much so that Richard Dawkins dubbed him the “Marco Polo of neuroscience.” Now, in a major new work, Ramachandran sets his sights on the mystery of human uniqueness. Taking us to the frontiers of neurology, he reveals what baffling and extreme case studies can teach us about normal brain function and how it evolved. Synesthesia becomes a window into the brain mechanisms that make some of us more creative than others. And autism-for which Ramachandran opens a new direction for treatment-gives us a glimpse of the aspect of being human that we understand least: self-awareness. Ramachandran tackles the most exciting and controversial topics in neurology with a storyteller’s eye for compelling case studies and a researcher’s flair for new approaches to age-old questions. Tracing the strange links between neurology and behavior, this book unveils a wealth of clues into the deepest mysteries of the human brain.